The Melville Monument stands in the glorious St Andrew Square at the east end of George Street in Edinburgh. Dominating the centre of the square is the Melville Monument, one of the most prominent landmarks in the capital but one that is largely ignored by many guidebooks, maybe because its sheer size means it is very hard to see just who sits atop it. What cannot be denied though is its wonderful design and beauty and it really is a breathtaking sight when seen for the first time. That Noble looking and imposing figure is none other than the 1st Viscount Melville, Henry Dundas. A man of many nicknames, hearing a few of them should give you a clue to his story. “The Great Tyrant”, the “Uncrowned King of Scotland” and King Harry the 9th” are just some of the names he was known as. Originally a lawyer, he went on to become MP for Midlothian and Home Secretary. His time in office has been criticised and he was known to have tried to have stop the end of the slave trade as well as being accused of misusing public funds. He was tried for this and found not guilty but he never held public office again. Many people find it strange that such a man has such an iconic monument dedicated to them but the fact is just as he was very corrupt, many sections of Edinburgh society benefited from the way he conducted his business. Some of those who most benefited were the ‘officers, petty officers, seamen and marines’ and it is they who paid for the monument to be built as can be seen from the plaque that is placed on it that still remains there to this day. The Melville Monument was designed by the eminent architect William Burn who was a pioneer of the Scottish Baronial style of architecture. Burn’s design was inspired by the Trajan’s Column which stands in Rome and was built in 113 AD. The stone column is almost 40 feet tall and the renowned lighthouse engineer was brought in to reassure local businesses and residents that it was safe. The stone statue on top of the monument was carved by Francis Chantrey the leading sculptor in Regency era Britain. Time and the Scottish weather took their toll on the Melville Monument but in 2008 it was subject to a complete restoration thanks to the Twelve Monuments Project which was a joint venture between the City of Edinburgh Council and Edinburgh World Heritage. 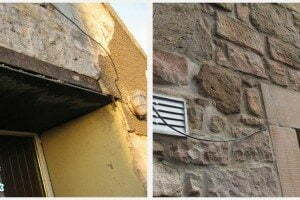 Expert Scottish stonemasons worked on the stones that were crumbling in places. 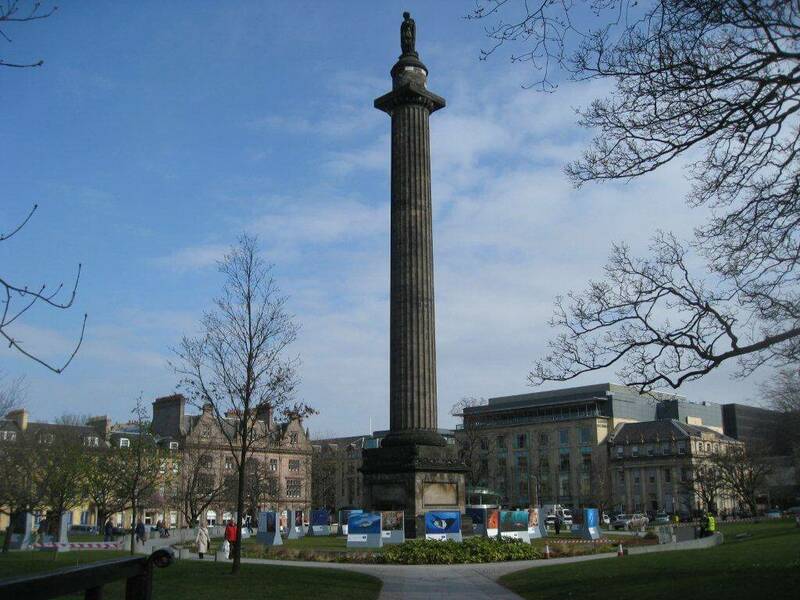 Today it stands proud in the middle of St Andrew Square and is one of the finest stone pieces of architecture in the city. Although the figure of Henry Dundas may largely be forgotten today, his place in Edinburgh’s rich and glorious history is assured thanks to this fantastic stone monument.